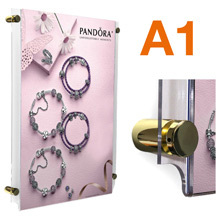 More Options: See standoffs in POLISHED CHROME, BRASS and SATIN BLACK. 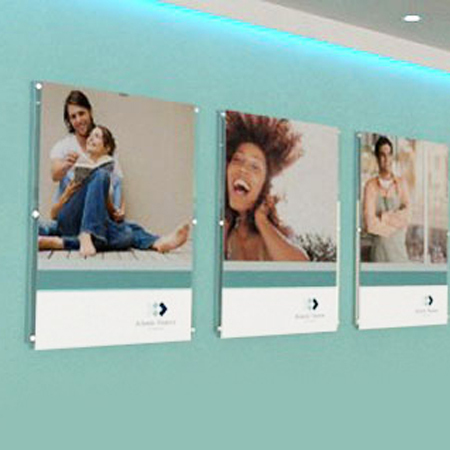 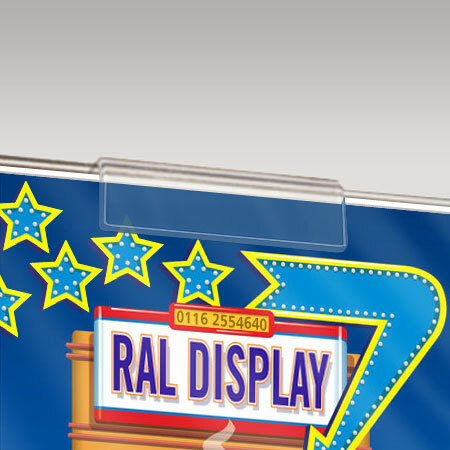 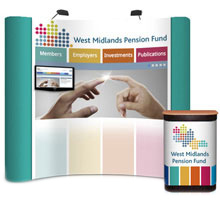 These larger sized wall mountable poster pockets are quite often seen in building societies, banks and travel agents to display promotional material. 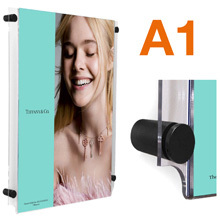 If regular poster changing is required these easy access poster pockets make it a quick and simple process. 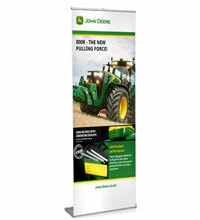 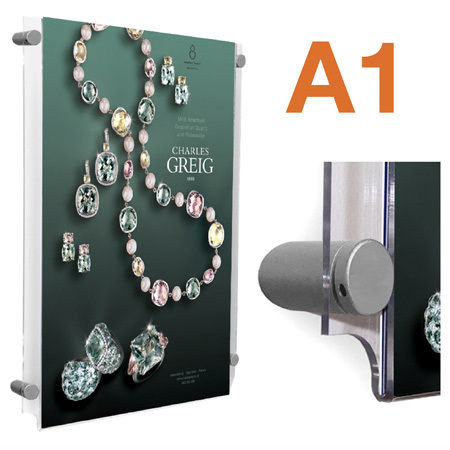 Posters simply slot in to the top of the pocket and slide in to place without the need for tools. 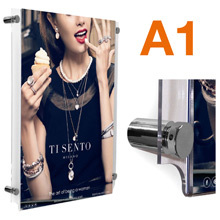 They are easy to install, mounted on standoff supports that come in an attractive silver anodised finish. 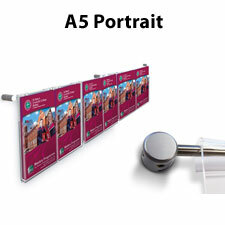 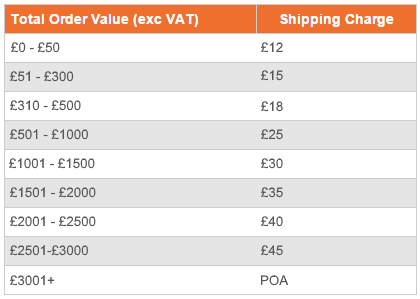 Pockets are available in A4 to A0 sizes with a choice of landscape or portrait formats. 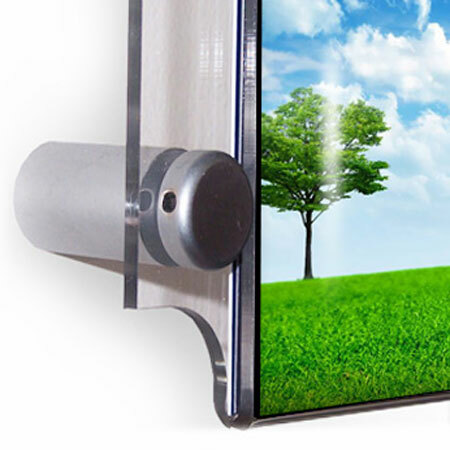 Appearance of the pockets when mounted on a wall is greatly enhanced by the 3D effect achieved using the supplied standoff supports.